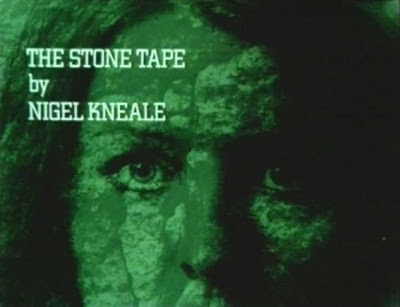 "The Stone Tape" (1972) is a British TV movie starring Michael Bryant, Jane Asher, Iain Cuthbertson about an electronics company research team that moves its lab into a haunted old building. Brilliant and erratic Peter Brock (Bryant) leads a research team for Ryan Electronics. The team is trying to discover the next storage medium other than cassette tape. 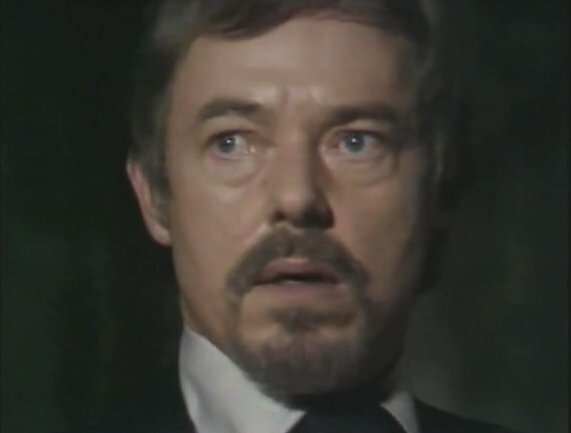 The scientists and computer programmers include Jill Greeley (Asher) who immediately takes a dislike to the house. 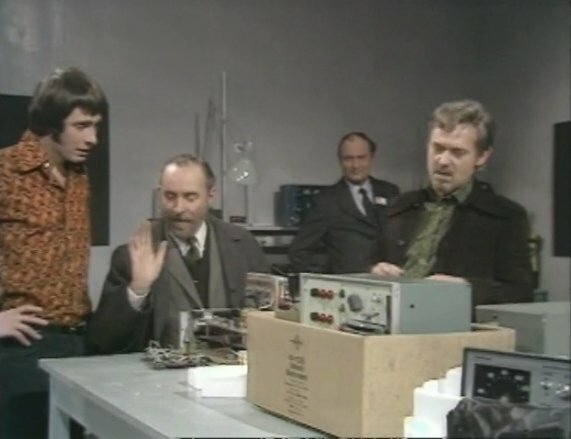 When they go to see the progress of the storage room, they find out from Roy Collinson (Cuthbertson) that the workers wouldn't finish it because they were scared of something. Jill immediately starts hearing screams and calls for help and seeing visions. She eventually convinces the others that there's something in that stone room. Jill feeds the information into a computer program she has developed and comes to believe that what is seen and heard in that room is a psychic impression that is encoded on the stone walls. Peter believes this to be the discovery they have been waiting for and diverts the team's resources to studying this phenomenon and trying to figure out how to apply it to something they can sell. In his zeal for success, he drives the rest of the team toward madness. "The Stone Tape" is a pretty good TV movie about not your typical haunted house. It even tries to explain using scientific theory how hauntings occur. It's characters are pretty good and it's good to see a brilliant female lead in a scientific/technical role.